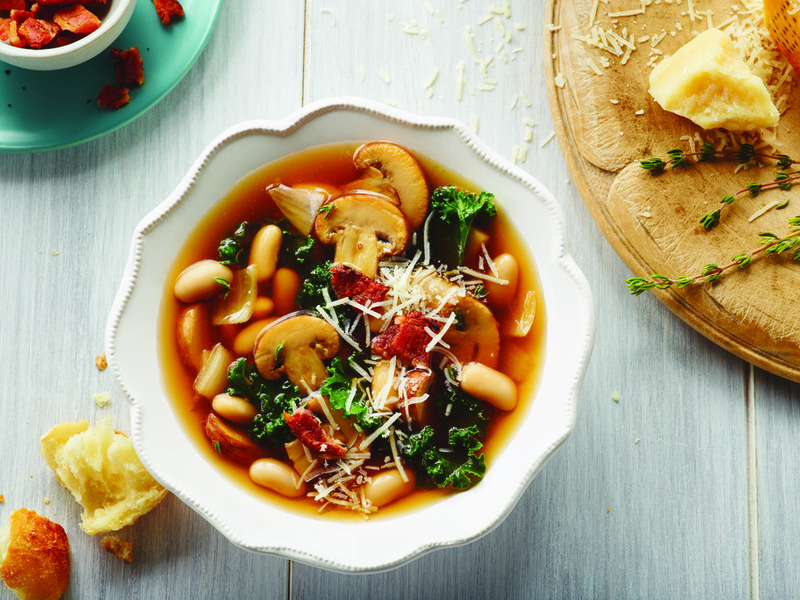 Get the taste of Tuscany with this tasty Kale and White Bean soup using our Mushroom Broth! In a medium soup pot, heat oil over medium-high. Add onions and cook 2-3 minutes or until translucent. Stir in mushrooms and cook for 3-5 minutes, stirring occasionally, or until mushroom are browned.Add garlic, cook 1 minute longer or until fragrant. Add remaining ingredients, except toppings, and bring to simmer. Cook 8-10 minutes or until kale is tender. Serve immediately with toppings, if desired. Love this recipe, simple and delicious, even without the cheese and becon! 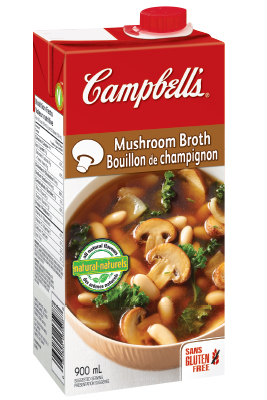 Absolutely love this soup, I make it all the time. I add toasted baguettes on the side and dip in the soup, and this makes a lovely meal.